Early in my teaching career, when I desperately needed toys and materials, a first grade teacher (and good friend) introduced me to garage sales. For less than three dollars, I collected enough View Masters and reels for an entire early childhood special education class of eight. 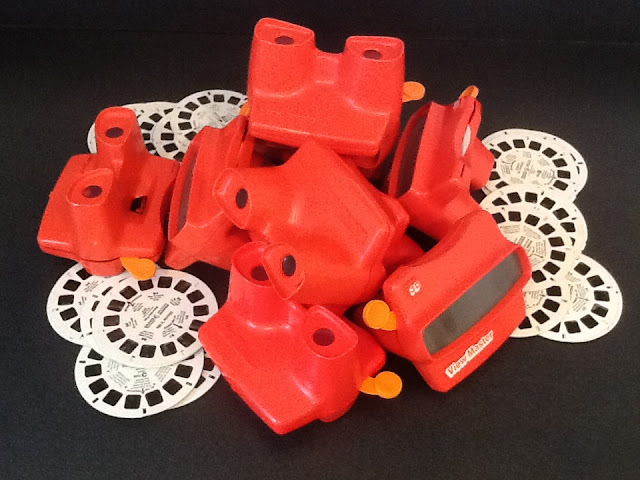 Time Magazine named the View Master as one of the top 100 toys of all times. It was first introduced in 1939 at the New York World’s Fair so that people could enjoy pictures of exotic locations, but over the years, evolved into a toy for children. as a carry-over activity for articulation. Have you used View Masters in therapy? If so, I would love to see your ideas.